My dogs name is Luna, she is a Rat Terrier mix, kinda like a Fox terrier. She's 4 years old. She's black with a white chest and white paws. Her tail is short and she has brown eyes. She eats anything and everything in sight! She loves to play ball, frisbee, tag, hide and go seek and she loves walks. 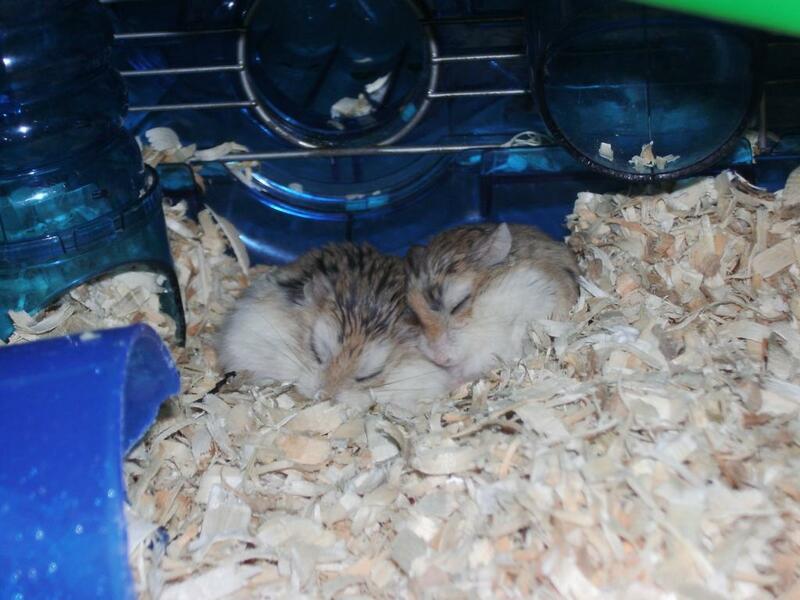 I also have 2 Roborovskii dwarf hamsters, Pip and Squeak. I rescued them from a animal shelter... they had been there 6 months, nobody wanted them because they were so timid. I am still working hard to earn their trust. I own 3 hens and they are the highlight of our managerie! Penny, Nellie and Gloria our three inquisitive hens who love to be held, loved and pampered! They are rescued hens, found in a 4 x 4 pen with 15 other chickens. 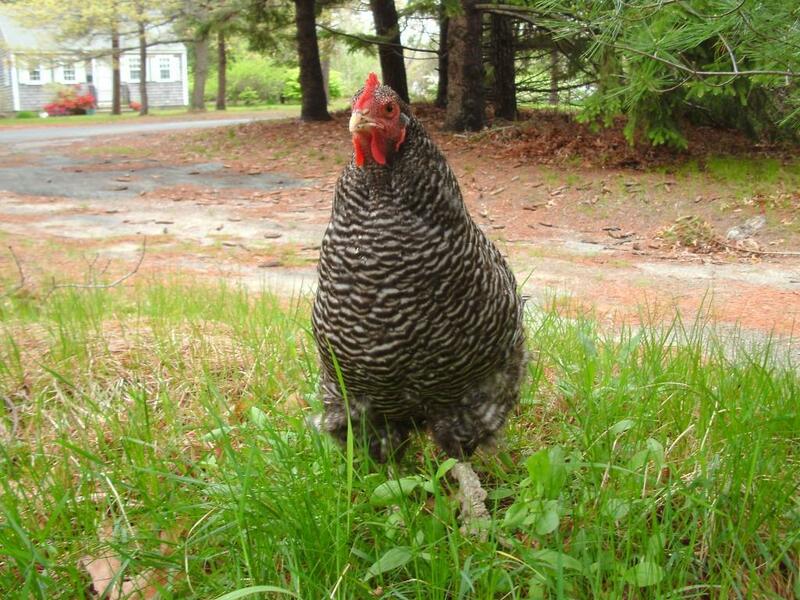 Gloria is a Barred Plymouth Rock, she lays eggs daily and will RUN to anyone who has food in their hands! I often share lunches with her (healthy stuff like lettuce and apples, of course.). 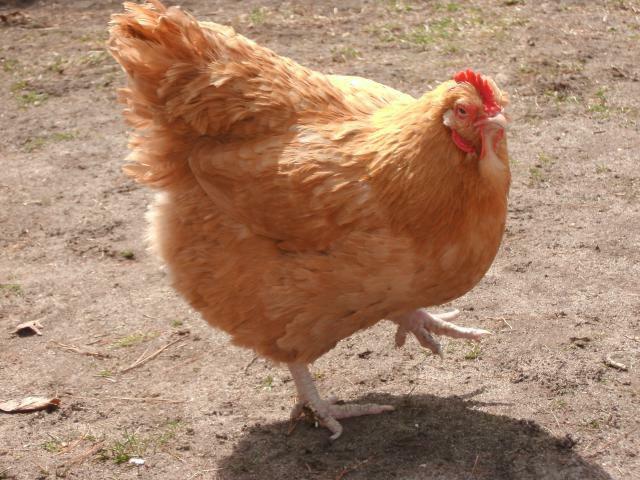 Penny is a Buff Orpington... she is partially blind. If we put food on the ground she will eye-ball it, then give several attempts to peck it before she'll find it. She has one blue eye and one green eye. She has a very nice comb too. She used to lay eggs, and maybe she will again someday. Nellie is a Buff Orpington just like Penny, we got her from a nice lady who noticed she was being picked on by the other hens, so she wanted to find her a new home. She follows me around the yard all day, begging for food and digging up our freshly raked piles of leaves! I make them smoothies, treats and many weird combinations with healthy foods. On Sunday, October 23rd... our 3rd hen, Hazel, passed away. She was totally blind and the sweetest thing... ran to you when you called and loved to be cuddled. R.I.P Hazel, we love and miss you. She had a tumor on her neck that blocked her airway. 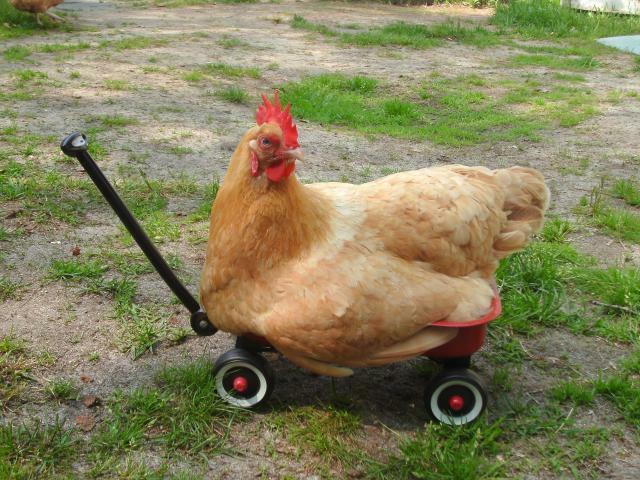 I pray that no other chicken I know will ever have to go through what she did. 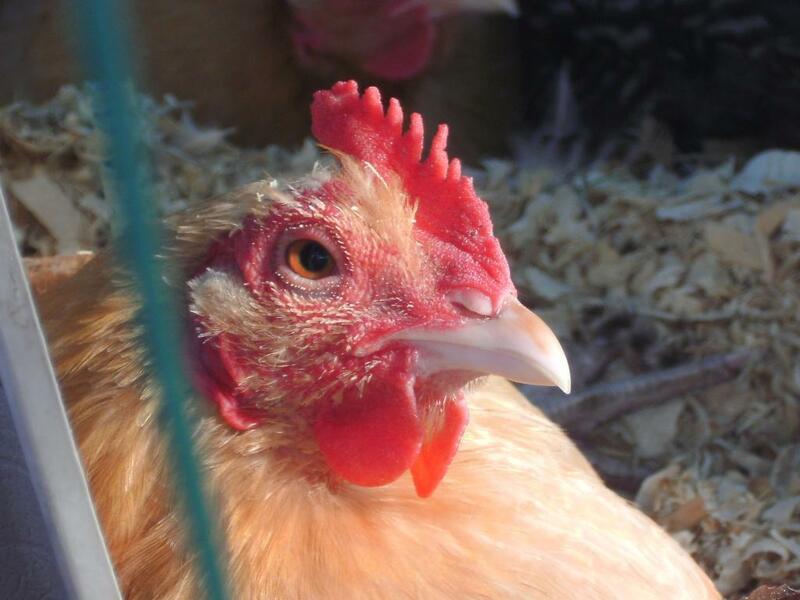 Penny is our rescued semi-blind Buff Orpington hen, this picture she is in won POW! Gloria is our rescued Barred Rock hen, who also has a broken (maybe just sprained) foot. Nellie is our 1 year old Buff Orpington hen. 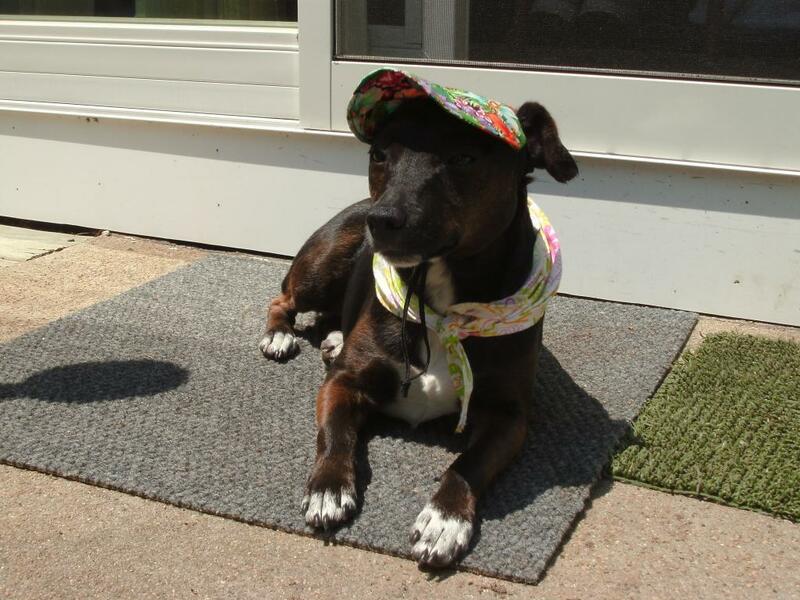 Luna, a rat terrier/patterdale terrier mix. Squeak (Left) and Pip (right), my 2 Robo dwarf hammys, about 2 years old. Thanks, guys! I have to re-edit this page and update it... we now have 4 hens! Boy you sure do have some AWESOME animals! !